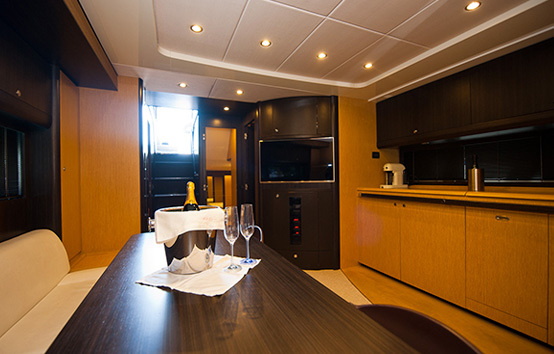 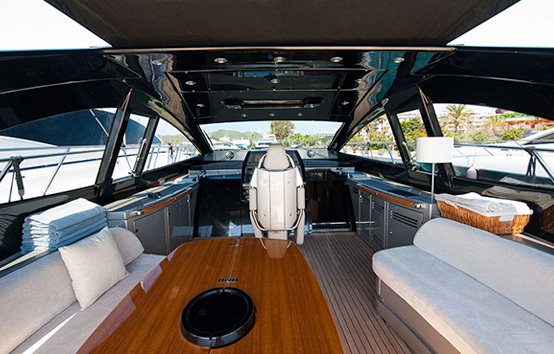 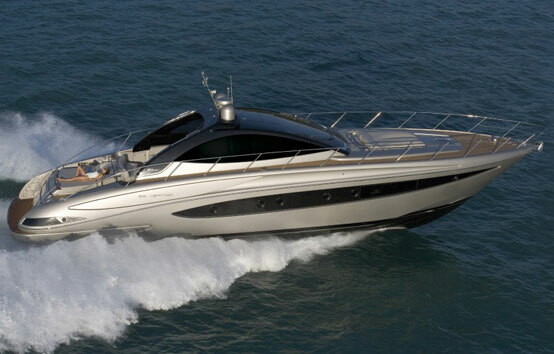 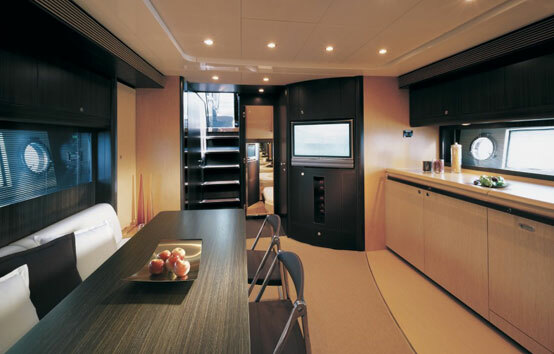 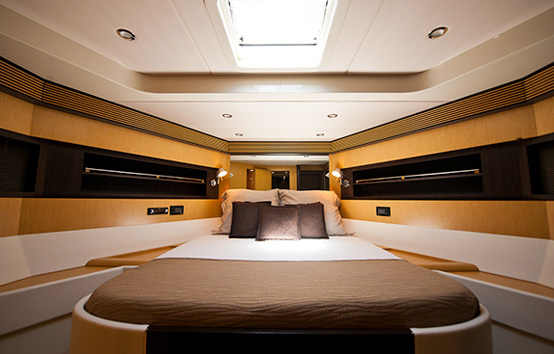 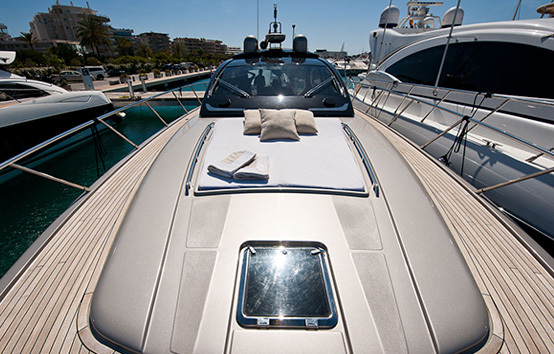 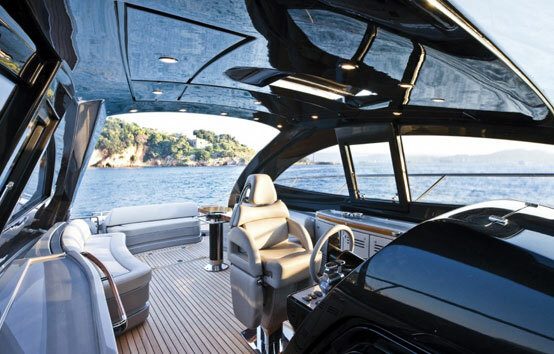 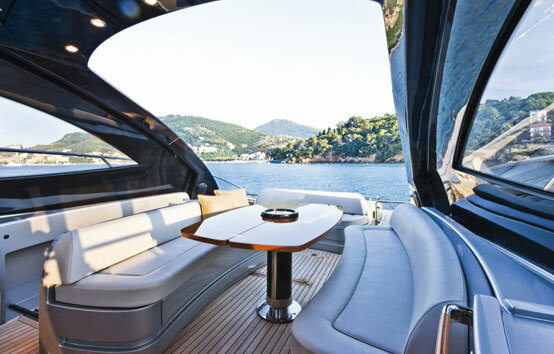 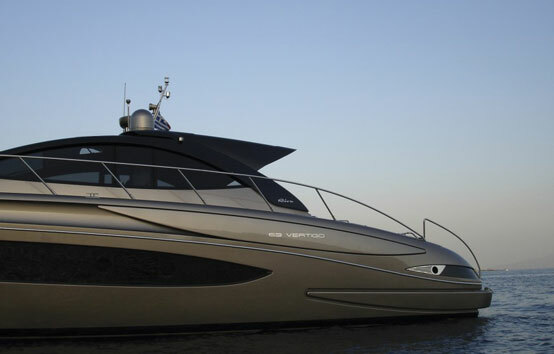 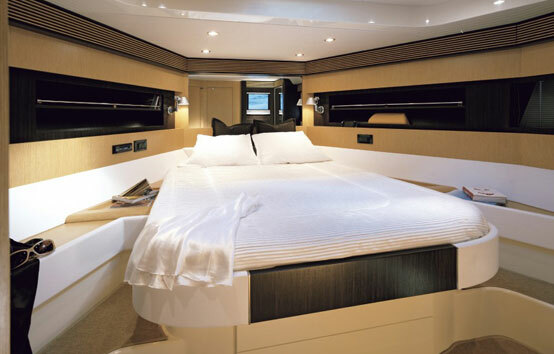 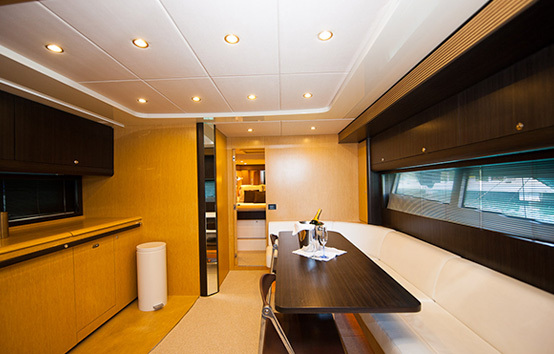 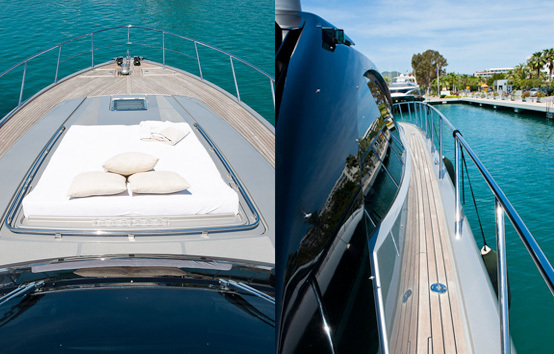 The Riva 63’ Vertigo is elegant, harmonious and stylish. 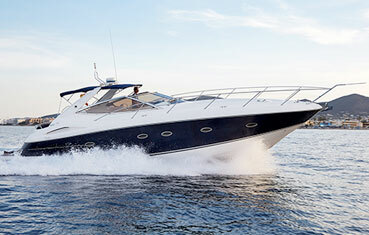 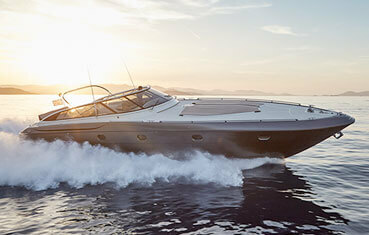 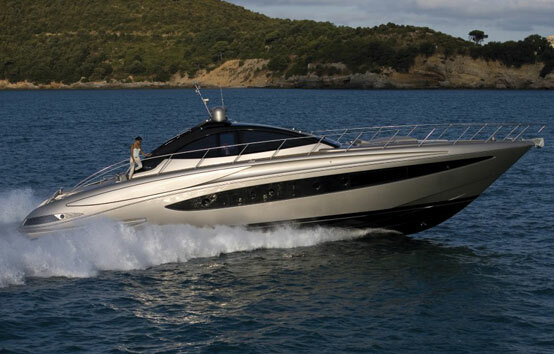 Riva has reinterpreted the “Open” creating a model on the borderline with the concept of “coupé”. 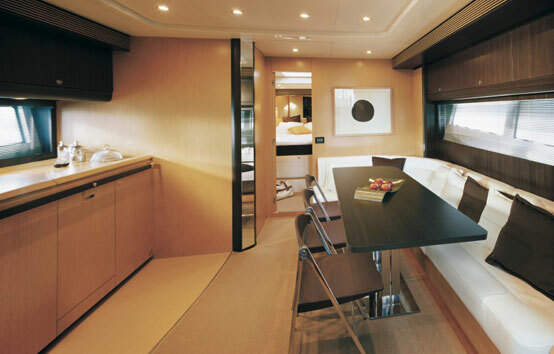 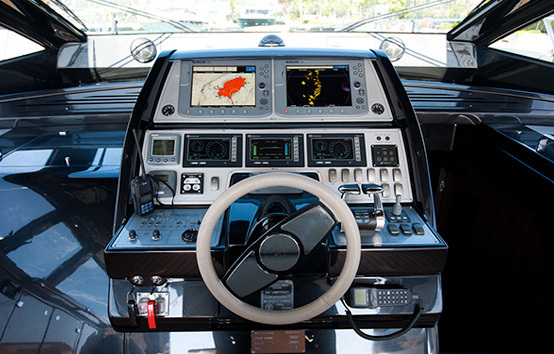 The resulting yacht is highly innovative and different from its predecessors, with its aristocratic lines, harmonious slender profile and its large open area to the rear of the cockpit. 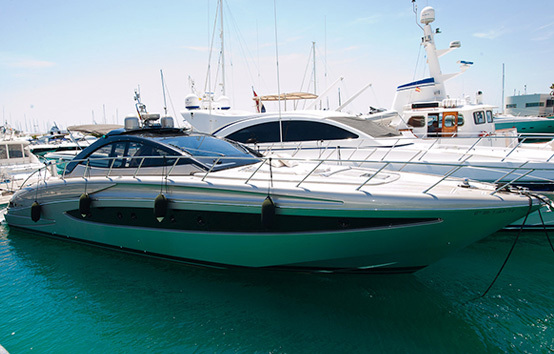 With a top speed of over 40 knots and a draft of only 160 cm., the Riva Vertigo is as well suited to sail between Ibiza and Formentera as it is being moored in front of Blue Marlin, the island of Es Vedra or Tago Mago! 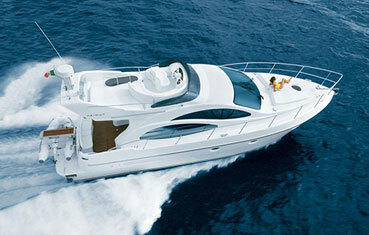 Capacity: 10 day / 6 night / 2 crew. 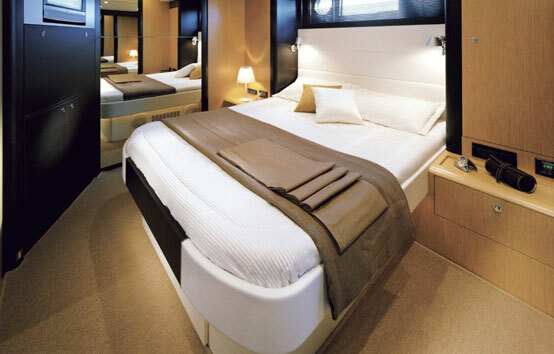 Cabins: 3 (2 suits+1 doble) + 1 crew. 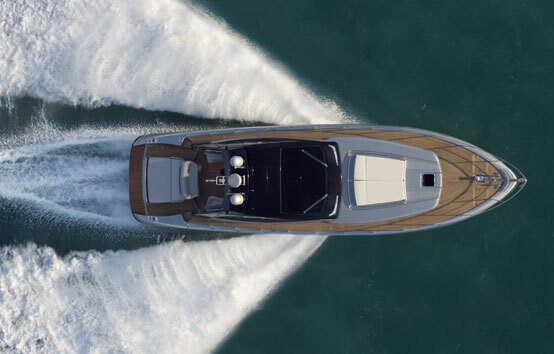 Engines: 1.360 hp x 2.